Apparently seaweed is one of the new food trends this year. I like dried seaweed - aka nori - in sushi but have never been a huge fan of it on its own. I bought some of the little snack packs of dried seaweed and they have remained in my cupboard, untouched. I figured if it's going to be a new trend then maybe I should break them out and give them a try in some cooking. 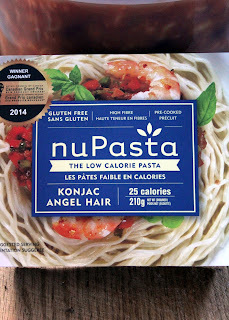 I am a big fan of NuPasta - which is a pasta made from konjac flour. A whole package of it only has 25 calories. Hello new favorite dinner item. 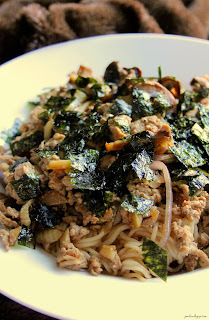 I made an Asian inspired sauce that goes perfectly with the pasta and the addition of seaweed. 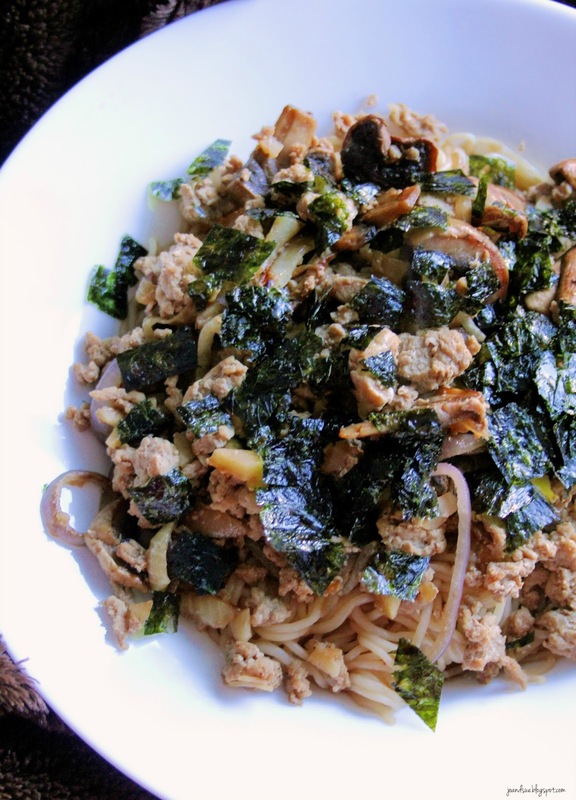 According to MyFitnessPal a serving (recipe makes 3 servings) is only: 397 calories, 22 fat, 37 carbs, 7 fiber, and 35 protein. Trust me when I say, you will have trouble finishing a whole serving! It is very filling. In a medium frying pan, heat sesame oil, mushrooms, and onions over medium low heat. 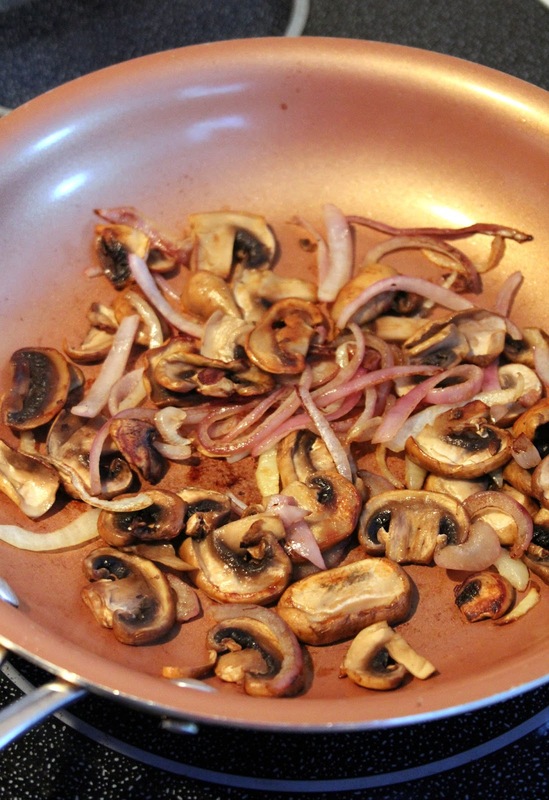 Cook and stir every so often until onions start to caramelize - about 15 to 20 minutes. While onions are caramelizing, cook turkey with garlic, onion, and ginger in a large frying pan until turkey is no longer pink. Stir in the soy sauce, Yakisoba sauce, and cooking wine. Set aside and keep warm. In a medium saucepan over medium heat, stir together the soy sauce, cooking wine, sweet chili sauce, rice vinegar, and sugar. 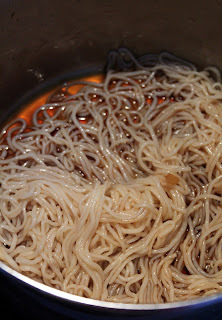 Stir and heat until steaming and sugar is dissolved. Toss the NuPasta in the sauce and heat through. 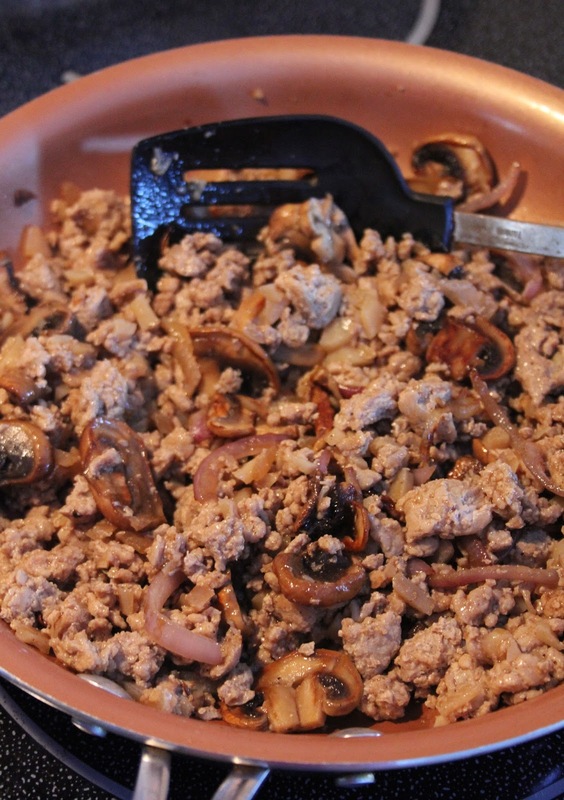 When onions are done and turkey is cooked, toss the two together in one pan. Divide pasta between 3 serving plates. 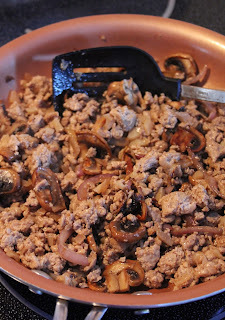 Divide turkey onion mixture amongst the plates, on top of the pasta. Drizzle each with a little of the leftover sauce in the pan. 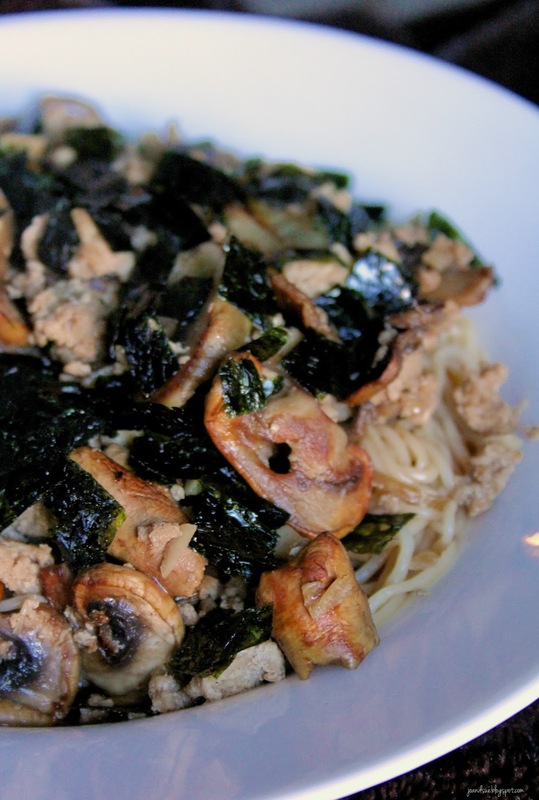 Top each plate with 2 Tbsp of crumbled seaweed and serve immediately. I've added this to my dinner rotation because it is just ridiculous. I can't believe it is only 397 calories for the amount you get to eat. 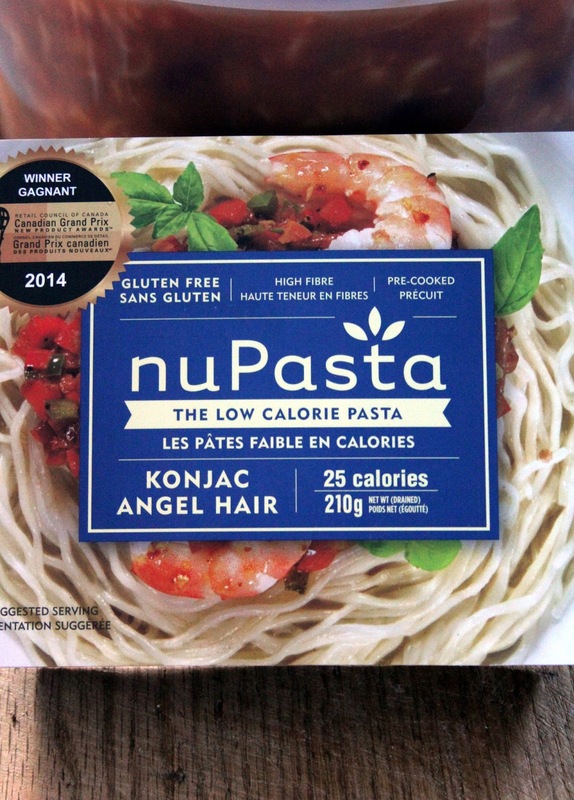 NuPasta is definitely helping me stick to my New Year's resolutions. 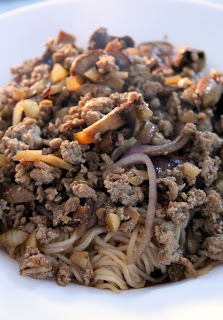 And the flavors and textures are really intriguing and very addicting. 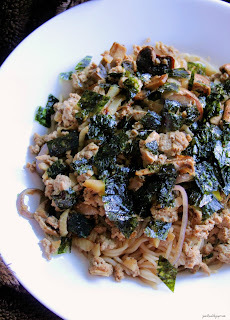 I use low sodium soy sauce but regular would work too - you an always adjust the amount if you find it too salty. 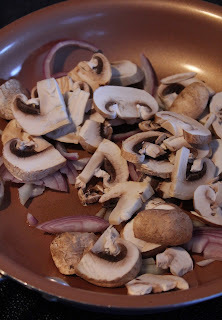 Stop by Carole's Chatter for tons of great links!